"Lib Dems" redirects here. For other uses, see Liberal Democrats (disambiguation). The Liberal Democrats (Lib Dems) are a liberal political party in the United Kingdom. They have 11 Members of Parliament in the House of Commons, 96 members of the House of Lords, one member of the European Parliament, five Members of the Scottish Parliament and one member in the Welsh Assembly and London Assembly. At the height of its influence, the party formed a coalition government with the Conservative Party from 2010 to 2015 with its leader Nick Clegg serving as Deputy Prime Minister. It is currently led by Sir Vince Cable. In 1981, an electoral alliance was established between the Liberal Party, a group which was the direct descendent of the 18th-century Whigs, and the Social Democratic Party (SDP), a splinter group from the Labour Party. In 1988 this alliance was formalised as the Liberal Democrats. Under the leadership of Paddy Ashdown and Charles Kennedy, the party grew during the 1990s and 2000s, focusing its campaigning on specific seats and becoming the third largest party in the House of Commons. Under its leader Nick Clegg, the Liberal Democrats were junior partners in a coalition government headed by Conservative Prime Minister David Cameron, with Clegg serving as Deputy Prime Minister. The coalition damaged the Liberal Democrats' electoral prospects: the party was reduced from 57 to 8 seats at the 2015 election. Positioned in the centre ground of British politics, the Liberal Democrats are ideologically liberal. Emphasising stronger protections for civil liberties, the party promotes socially liberal approaches to issues like LGBT rights, education policy, and criminal justice. Different factions take different approaches to economic issues; a classical liberal faction promotes greater economic liberalism, while others endorse a social market economy. The party is pro-Europeanist, supporting continued UK membership of the European Union and greater European integration; it previously called for adoption of the Euro currency. It calls for electoral reform with a transition from the first-past-the-post voting system to one of proportional representation. Other policies have included further environmental protections and drug liberalisation laws, while it has also opposed certain UK military engagements like the Iraq War. The party is a member of the Alliance of Liberals and Democrats for Europe and Liberal International. The Liberal Democrats are historically strongest in northern Scotland, southwest London, southwest England, and mid-Wales. The Liberal Democrats were formed on 3 March 1988 by a merger between the Liberal Party and the Social Democratic Party, which had formed a pact nearly seven years earlier as the SDP–Liberal Alliance. The Liberal Party, founded in 1859, were descended from the Whigs, Radicals and Peelites, while the SDP were a party created in 1981 by former Labour Party members, MPs and cabinet ministers, but also gained defections from the Conservative Party. Having declined to third party status after the rise of the Labour Party from 1918 and especially during the 1920s, the Liberals were challenged for this position in the 1980s when a group of Labour MPs broke away and established the Social Democratic Party (SDP). The SDP and the Liberals realised that there was no space for two political parties of the centre and entered into the SDP–Liberal Alliance so that they would not stand against each other in elections. The Alliance was led by David Steel (Liberal) and Roy Jenkins (SDP); Jenkins was replaced by David Owen. The two parties had their own policies and emphases, but produced a joint manifesto for the 1983 and 1987 general elections. Following disappointing results in the 1987 election, Steel proposed to merge the two parties. Although opposed by Owen, it was supported by a majority of members of both parties, and they formally merged in March 1988, with Steel and Robert Maclennan (who had become SDP leader in August 1987) as joint interim leaders. The new party was initially named Social and Liberal Democrats (SLD) with the unofficial short form The Democrats being used from September 1988. The name was subsequently changed to Liberal Democrats in October 1989, which is frequently shortened to Lib Dems. The new party logo, the Bird of Liberty, was adopted in 1989. The minority of the SDP who rejected the merger remained under Owen's leadership in a rump SDP; the minority of the Liberal Party divided, with some retiring from politics immediately and others (led by former Liberal MP Michael Meadowcroft) creating a new 'Liberal Party' that claimed to be the continuation of the Liberal Party which had just dissolved itself. 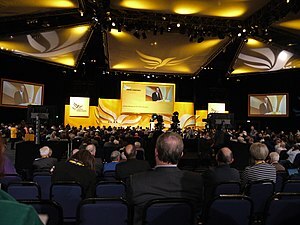 Michael Meadowcroft eventually joined the Liberal Democrats in 2007 but some of his former followers continue still as the Liberal Party, most notably in a couple of electoral wards of the cities of Liverpool and Peterborough. Over the next three years, the party recovered under Ashdown's leadership. They performed better at the 1990 local elections and in by-elections—including at Eastbourne in 1990 which saw the first success by a Liberal Democrat standing for parliament. They had further successes in Ribble Valley and Kincardine & Deeside in 1991. Following the election of Tony Blair as Labour leader in July 1994 after the death of his predecessor John Smith, Ashdown pursued co-operation between the two parties because he wanted to form a coalition government should the next general election end without any party having an overall majority. This Lib-Lab pact failed to form because Labour's massive majority after the 1997 general election made it an irrelevance for Labour, and because Labour were not prepared to consider the introduction of proportional representation and other Lib Dem conditions. The election was, however, something of a turning point for the Liberal Democrats. They took a smaller share of the vote than at the previous election, but they managed to more than double their representation in parliament, winning 46 seats, through tactical voting and concentrating resources in winnable seats. 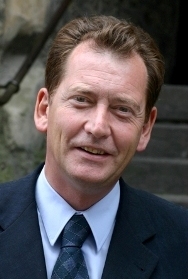 Under Kennedy's leadership the majority of Pro-Euro Conservatives, a group of former members of the Conservatives, joined the Liberal Democrats on 10 December 2001. At the 2005 general election, the Lib Dems gained their highest share of the vote since the SDP–Liberal Alliance (22%) and won 62 seats. Many had anticipated that this election would be the Lib Dems' breakthrough at Westminster; party activists hoped to better the 25% support of the 1983 election, or to reach 100 MPs. Much of the apparent lack of success resulted from the first-past-the-post electoral system: the party got 22% of the votes nationally but only 10% of the seats in the Commons. Controversy became associated with the campaign when it became known that Michael Brown had donated £2.4 million to the Liberal Democrats. Brown, who lived in Majorca, Spain at the time, was charged in June 2008 with fraud and money laundering and subsequently jumped bail and fled the country. In November 2008 he was convicted in his absence of thefts amounting to £36 million and sentenced to seven years imprisonment. The 2005 election figures revealed a trend of the Lib Dems replacing the Conservatives as Labour's main opponents in urban areas. Many gains came in previously Labour-held urban constituencies (for example, Manchester Withington, Cardiff Central, Birmingham Yardley), many of which the Conservatives had held in the 1980s, and Lib Dem aspirants had over 100 second-place finishes behind Labour candidates. The British electoral system makes it hard for the Conservatives to form a government without winning some city seats outside its rural heartlands, such as the Lib Dem Bristol West constituency, where the Conservatives came third in 2005 after holding the seat until 1997. In a statement on 5 January 2006 Charles Kennedy admitted to a long battle with alcoholism and announced a leadership election in which he intended to stand for re-election, while Sir Menzies Campbell took over as acting leader. There were rumours for several years that Kennedy had problems with alcohol—the BBC's Nick Robinson called it "Westminster's worst-kept secret". Kennedy had on previous occasions denied these rumours, and some suggested that he had deliberately misled the public and his party. Kennedy had planned to stand as a candidate, but he withdrew from the election citing a lack of support among Lib Dem MPs. Sir Menzies Campbell subsequently won the contest, defeating Chris Huhne and Simon Hughes, among others, in a very controversial race. Mark Oaten withdrew from the contest because of revelations about visits to male prostitutes. Simon Hughes came under attack regarding his sexuality while Chris Huhne was accused live on Daily Politics of attempting to rig polls. Despite the negative press over Kennedy's departure, the leaderless party won the Dunfermline and West Fife by-election over Labour in February 2006. This result was viewed as a particular blow for Gordon Brown, who lives in the constituency, represented the adjacent seat and featured in Labour's campaign. The party also came second place by 633 votes in the Bromley and Chislehurst by-election, threatening the safe Conservative seat and pushing Labour into fourth place behind the UK Independence Party. In July 2007, Sir Menzies announced that the party wished to cut the basic rate of income tax from 20 to 16p per pound—the lowest rate since 1916—and wanted to finance the cut using green taxes and other revenues, including making gains from UK properties owned by non-UK residents eligible for capital gains tax. On 18 December 2007 Nick Clegg won the leadership election, becoming the party's fourth leader. Clegg won the leadership with a majority of 511 votes (1.2%) over his opponent Chris Huhne, in a poll of party members. Clegg was the Member of Parliament for Sheffield Hallam until 2017, and was an MEP for the East Midlands from 1999 to 2004. In his acceptance speech, Clegg declared that he was "a liberal by temperament, by instinct and by upbringing" and that he believed "Britain [is] a place of tolerance and pluralism". He claimed that his priorities were defending civil liberties; devolving the running of public services to parents, pupils and patients; and protecting the environment, and that he wanted to forge a "liberal alternative to the discredited policies of big government". He also proposed a target to double the number of Lib Dem MPs within two elections, and before the 2008 local elections confirmed that he was pleased with their performance in the polls. Shortly after the election Clegg reshuffled the party's frontbench team, making Huhne the replacement Home Affairs spokesperson, Ed Davey the Foreign Affairs spokesperson, and keeping Vince Cable as Shadow Chancellor. His predecessors were also given roles: Campbell joined the all-party Commons foreign affairs select committee, and Kennedy campaigned nationwide on European issues, as president of the European Movement UK. Clegg became deputy prime minister to David Cameron, leader of the Conservative Party, in a 2010 coalition agreement that placed a centre-right government at the helm of the United Kingdom. Political commentators identified Clegg's leadership as promoting a shift to the radical centre in the Liberal Democrats, bringing more emphasis to the economically liberal side of social liberalism. In the general election held on 6 May 2010, the Liberal Democrats won 23% of the vote and 57 seats in the House of Commons. The election returned a hung parliament with no party having an absolute majority. Negotiations between the Lib Dems and the two main parties occurred in the following days. David Cameron became Prime Minister on 11 May after Gordon Brown's resignation and the Liberal Democrats formed a coalition government with the Conservative Party, with Nick Clegg as Deputy Prime Minister and other Liberal Democrats in the cabinet. Three quarters of the Liberal Democrat's manifesto pledges went into the Programme for Government. Of the 57 Liberal Democrat MPs, only two refused to support the Conservative Coalition agreement, with former leader Charles Kennedy and Manchester Withington MP John Leech both rebelling. After joining the coalition poll ratings for the party fell, particularly following the government's support for raising the cap on tuition fees with Liberal Democrat MPs voting 27 for, 21 against and 8 abstaining. Shortly after the 2015 General Election, Liberal Democrat leadership contender Norman Lamb conceded that Clegg's broken pledge on university tuition had proven costly. On 8 December 2010, the eve of a vote on the raising of the cap on tuition fees in the United Kingdom to £9,000, an opinion poll conducted by YouGov recorded voting intention figures of Conservatives 41%, Labour 41%, Other Parties 11% and Liberal Democrats 8%. the lowest level of support recorded for the Liberal Democrats in any opinion poll since September 1990. In the Oldham East and Saddleworth by-election, 2011 held on 13 January 2011, the Liberal Democrats gained 31.9% of the vote, a 0.3% increase despite losing to Labour. In a by-election in the South Yorkshire constituency of Barnsley in March 2011, the Liberal Democrats fell from second place at the general election to sixth, with the candidate Dominic Carman, losing his deposit. In council elections held on 5 May 2011, the Liberal Democrats suffered heavy defeats in the English Midlands, the North of England and Scotland. They also lost heavily in the Welsh assembly and Scottish Parliament, where several candidates lost their deposits. According to The Guardian, "they lost control of Sheffield council – the city of Clegg's constituency – were ousted from Liverpool, Hull and Stockport, and lost every Manchester seat they stood in. Overall, they got their lowest share of the vote in three decades". In May 2011, Clegg revealed plans to make the House of Lords a mainly elected chamber, limiting the number of peers to 300, 80% of whom would be elected with a third of that 80% being elected every 5 years by single transferable vote. In August 2012, Clegg announced that attempts to reform the House of Lords would be abandoned due to opposition for the proposals by backbench Conservative MPs. Claiming the coalition agreement had been broken, Clegg stated that Liberal Democrat MPs would no longer support changes to the House of Commons boundaries for the 2015 general election. In council elections held on 3 May 2012, the Lib Dems lost more than 300 councillors, leaving them with fewer than 3000 for the first time in the party's history. In June 2012 it was reported that membership of the party had fallen by around 20% along with falling poll numbers since joining the coalition. On 20 September 2012 Clegg personally apologised for breaking his pledge not to raise university tuition fees. On 28 February 2013, the party won a by-election in Eastleigh, the Hampshire constituency that had previously been held by the former minister, Chris Huhne. The party's candidate, Mike Thornton, had been a local councillor for the party, and held the seat. In eighteen other by-elections held throughout the 2010–15 Parliament, the party lost its deposit in 11; in the Rochester and Strood by-election held on 20 November 2014, it came fifth polling 349 votes or 0.9% of the total votes cast. This was both the worst result in the history of the party, and of any governing party. Despite Clegg's efforts at triangulation, the Liberal Democrats experienced its worst-ever showing in the 2015 general election, losing 48 seats in the House of Commons, leaving them with only eight MPs. Prominent Liberal Democrat MPs who lost their seats included former leader Charles Kennedy, former deputy leaders Vince Cable and Simon Hughes, and several cabinet ministers. The party held onto just eight constituencies in Great Britain, with only one in Scotland, one in Wales and six in England. The Liberal Democrats' erstwhile coalition partner, Cameron's Conservatives, won an outright majority, negating the need for them to accommodate the smaller party in government. On 8 May 2015, Clegg announced his resignation as party leader. Membership of the Liberal Democrats rose from 45,000 to 61,000 as the party prepared to hold its 2015 party leadership ballot. On 16 July 2015, Tim Farron was elected to the leadership of the party with 56.5% of the vote, beating opponent Norman Lamb. On 29 July, Farron unveiled his frontbench team, with Tom Brake MP taking on Foreign Affairs, Alistair Carmichael MP Home Affairs, Susan Kramer Economics and Judith Jolly representing Defence. In the May 2016 local elections, the Liberal Democrats gained a small number of council seats, though they lost ground in the National Assembly for Wales. The party campaigned for a Remain vote in the referendum on United Kingdom membership of the European Union in June 2016. After the Leave vote, the Liberal Democrats sought to mobilise the 48% who voted Remain, and the party's membership rose again, reaching 80,000 by September. On 1 December 2016, the Liberal Democrats made its first by-election gain in ten years when Sarah Olney won a seat in Richmond Park previously held by the Conservative MP Zac Goldsmith, who had resigned and was contesting the election as an Independent. The main theme of the party's campaign was opposition to the manner of the government opting for a hard Brexit in leaving the European Union. In the 2017 snap general election, the Liberal Democrats had an overall vote share of 7.4%, down 0.5% from 2015. Nevertheless, the party made a net gain of four seats from the last election, taking their seat total to twelve (an unprecedented 50% increase in their seats). The party recaptured several of its former strongholds: Sir Vince Cable was elected in Twickenham, with a majority of 9,762 votes and a swing of 14.7%. Despite making some gains compared to the previous general election, former party leader Nick Clegg lost Sheffield Hallam to Jared O'Mara of the Labour Party, and Zac Goldsmith of the Conservatives regained Richmond Park from Sarah Olney with a very narrow majority of 45 votes. Party membership exceeded 100,000 during the campaign. On 14 June, following the election, Farron announced his intention to stand down as leader of the Liberal Democrats. Sir Vince Cable was elected unopposed to the leadership of the party on 20 July 2017 following Farron's resignation. Before his election, Cable argued for an "exit from Brexit", calling for a second referendum on the UK's relationship with the European Union. The ideology of the Liberal Democrats draws from liberal ideas. The party is in favour of reform of traditional British institutions such as the Church of England, a change in the electoral system from first-past-the-post to proportional representation, and drug decriminalisation. The Liberal Democrats supported the adoption of the Euro and greater European integration. In recent years the adoption of the Euro hasn't been on their agenda, with no mention of it in their 2017 manifesto. Within the Liberal Democrats, the two main ideological strands are social liberals and classical liberals, the latter supporting economic liberalism. The principal difference between the two is that the classical liberals tend to support greater choice and competition and aim to increase social mobility through economic deregulation and creation of opportunity, whereas the social liberals are more commonly associated with directly aiming to increase equality of outcome through state intervention. Classical liberals tend to favour cutting taxes for the poorest in order to increase opportunity, contrasting with social liberals who would rather see higher spending on public services and the disadvantaged in order to reduce income inequality. The strand of social liberalism in the party is influenced by William Beveridge, who is credited with drafting further advancements of the welfare state, and economist John Maynard Keynes. In 2009, social liberals founded the Social Liberal Forum, a pressure group within the party, to pursue social liberal policies. Notable social liberals in the Liberal Democrats include Tim Farron, David Steel, Paddy Ashdown, Menzies Campbell, Charles Kennedy, and Simon Hughes. The party has also been described as having a social-democratic wing, identified with party figures including Kennedy, Ashdown and Campbell, with current leader Vince Cable self-identifying himself as a social democrat (Kennedy and Cable had been members of the SDP before the merger). In 2004 members of the classical and economic liberal strand contributed to The Orange Book, which contained social market economy policies and was seen as an attempt to move the party towards the centre-ground. Notable economic liberals include Nick Clegg, David Laws and Jeremy Browne, a group which has since been referred to as the "Orange Book Liberals". On 13 February 2012, those welcoming social liberalism while advocating the equal importance of economic liberalism, founded Liberal Reform. The group opposes what it regards as illiberal policies and abuses of power, such as detention without trial, while advocating employee share ownership, tax cuts for those on low and middle incomes, the right of citizens to freedom of information, and of their right to personal privacy. The party wants to phase out religious discrimination in faith school admissions and employment within six years. It also supports the repeal of compulsory collective worship in schools. They have called for the repeal of the Greenwich Judgement, which prevents Local Authorities from prioritising their own residents in school admissions policies. They have been credited with the introduction of the 50% Rule which requires new faith academies to allocate at least half of their places without reference to faith when oversubscribed. 1p income tax rise on all income tax bands to fund the NHS an extra £6 billion a year. Bill announced which will regulate CCTV, end the collection of DNA from innocent citizens, scrap ID cards and the children's contact database, end control orders, reduce the maximum pre-charge detention period under that Act from 28 to 14 days, outlaw wheel-clamping on private land, and enable those with convictions for consensual sexual relations between men aged 16 or over (which have since been decriminalised) to apply to have them disregarded. Scrap Police and Crime Commissioners and replace them with Police Boards made up of local councilors in order to save money. Introduce a legal, regulated market for cannabis. Allow single purpose, licensed stores to sell cannabis to those aged 18 years old and above, with a new regulator to oversee the market. Also allow 'home-cultivation for personal use and small scale licensed cannabis social clubs'. Introduce specialist drugs courts and non-criminal punishments to focus on the rehabilitation of those with addictions. Give victims of crime a right to review what progress police have made to investigate the crime committed against them including cases where the police have declined to investigate. Strengthen the ‘realistic prospect of custody’ test to reduce the use of remand for suspected offenders who can be safely monitored in the community and are unlikely to receive a prison sentence if found guilty. At a Lib Dem conference in 2015, considered an early test of the leadership of Tim Farron, Lib Dem activists voted against a "scrap Trident" motion. Following the conference, a spokesperson for the Lib Dems said: "There has been much discussion about how quickly, safely and efficiently Britain can reduce its nuclear capability. The party will now look into the options for the future of Britain's nuclear deterrent. Tim Farron believes Britain should be stepping down the nuclear ladder and doing so in conjunction with our NATO allies around the world." The Liberal Democrats have been strongly in favour of European integration. The party maintains a "strong and positive" commitment to the European Union; the Liberal Democrats and its predecessors (the SDP–Liberal Alliance) have been consistently in favour of British EU membership, with the Liberal Party originally proposing membership into the predecessor European Coal and Steel Community. However, the Liberal Democrats oppose the European federalism espoused by their counterparts. In June 2016 following the United Kingdom European Union membership referendum, in which 51.9% of those voting voted in favour of leaving the European Union, Tim Farron stated that if Liberal Democrats were to be elected in the next parliamentary election, they would not follow through with triggering Article 50 of the Treaty on European Union and leaving the EU ("Any Member State may decide to withdraw from the Union in accordance with its own constitutional requirements") but would instead keep UK part of the EU. Following this promise, the Liberal Democrats claim that their membership has increased by 10,000 since the referendum; at one point, the growth in the party was the equivalent of one person joining per minute. Campaigning for a second referendum regarding the exact goals of Brexit negotiation is currently one of the party's flagship policies. The Liberal Democrats have been described by the New Statesman as "unsparing in their criticism of the unfairness of first-past-the-post," and are fully committed to electoral reform, including Alternative Vote and proportional representation. It is considered[by whom? ]one of their most popular policies, and described by the New Statesman as "one policy with which the Liberal Democrats are identified in the minds of the public." Designate an ecologically coherent network of marine protected areas with appropriate management by 2020. Encourage the uptake of water metering, including introducing metering in all defined water-stressed areas by 2025, coupled with the development of national social tariffs to protect low income households. Complete the coastal path, introduce a fuller Right to Roam and a new designation of National Nature Parks to protect up to a million acres of accessible green space valued by local communities. In the 1992 General Election the Lib Dems succeeded the SDP–Liberal Alliance as the third most popular party, behind Labour and the Conservatives. Their popularity never rose to the levels attained by the Alliance, but in later years their seat count rose far above the Alliance's peak, a feat that has been credited to more intelligent targeting of vulnerable seats. The vote percentage for the Alliance in 1987 and the Lib Dems in 2005 is similar, yet the Lib Dems won 62 seats to the Alliance's 22. The first-past-the-post electoral system used in UK General Elections is not suited to parties whose vote is evenly divided across the country, resulting in those parties achieving a lower proportion of seats in the Commons than their proportion of the popular vote (see table and graph). The Lib Dems and their Liberal and SDP predecessors have suffered especially, particularly in the 1980s when their electoral support was greatest while the disparity between the votes and the number of MPs returned to parliament was significantly large. The increase in their number of seats in 1997, 2001 and 2005 was attributed to the weakness of the Conservatives and the success of their election strategist Chris Rennard. Lib Dems state that they want 'three-party politics' in the Commons; the most realistic chance of power with first past the post is for the party to be the kingmakers in a hung parliament. Party leaders often set out their terms for forming a coalition in such an event—Nick Clegg stated in 2008 that the policy for the 2010 General Election was to reform elections, parties and Parliament in a "constitutional convention". The party had control of 31 councils in 2008, having held 29 councils prior to the 2008 election. In the 2008 local elections they gained 25% of the vote, placing them ahead of Labour and increasing their control by 34 to more than 4,200 council seats—21% of the total number of seats. In council elections held in May 2011, the Liberal Democrats suffered heavy defeats in the Midlands, North and Scotland. They also lost heavily in the Welsh assembly and Scottish Parliament. In local elections held in May 2012, the Lib Dems lost more than 300 councillors, leaving them with fewer than 3000 for the first time in the party's history. In the 2013 local elections, they lost more councillors. In the 2014 local elections they lost over 300 councillors and the control of two local governments. In the 2016 local elections, the number of Liberal Democrat councillors increased for the first time since they went into coalition in 2010. The party won 43 seats and increased its vote share by 4%. A number of former MPs who lost their seats in 2015 won council seats in 2016, including former Manchester Withington MP John Leech  who won 53% of the vote in a traditionally safe Labour seat. Leech's win was hailed as 'historic', signifying the first gain for any party in Manchester other than Labour for the first time in six years, and provided the city's majority Labour administration with its first opposition for two years. Cheadle's former MP Mark Hunter also won a seat on Stockport Council. The party has generally not performed as well in elections to the European Parliament. In the 2004 local elections their share of the vote was 29% (placing them second, ahead of Labour) and 14.9% in the simultaneous European Parliament elections (putting them in fourth place behind the UK Independence Party). The results of the 2009 European elections were similar with the party achieving a vote of 28% in the county council elections yet achieving only 13.7% in the Europeans despite the elections taking place on the same day. The 2009 elections did however see the party gain one seat from UKIP in the East Midlands region taking the number of representatives in the parliament up to 11. In 2014 the party lost ten seats, leaving them with one MEP. In Europe, the party sits with the Alliance of Liberals and Democrats for Europe (ALDE) political group, which favours further strengthening the EU. The group's leader for seven and a half years was the South West England MEP Graham Watson, who was also the first Liberal Democrat to be elected to the European Parliament when he won the old Somerset and North Devon constituency in 1994. The group's current leader is the former Prime Minister of Belgium Guy Verhofstadt. The leader of the Scottish Liberal Democrats is the MSP for North East Fife, Willie Rennie, who took up his role in 2011. The first elections to the newly created National Assembly for Wales were in 1999; the Liberal Democrats took six seats in the inaugural Assembly; Welsh Labour won a plurality of seats, but without an overall majority. In October 2000, following a series of close votes, the parties formed a coalition, with the Liberal Democrat leader in the assembly, Michael German, becoming the Deputy First Minister. The deal lasted until the 2003 election, when Labour won enough seats to be able to govern outright. The party had polled consistently in the first four elections to the National Assembly, returning six representatives in the first three elections and five in the 2011 Election, thereby establishing itself as the fourth party in Wales behind Labour, the Conservatives and Plaid Cymru, but fell to just one seat in 2016. Between 2008 and 2016, the leader of the Welsh Liberal Democrats was Kirsty Williams, the assembly member for Brecon & Radnorshire, the Assembly's first female party leader. The Liberal Democrats are a federal party of the parties of England, Scotland, and Wales. The English and Scottish parties are further split into regions. The parliamentary parties of the House of Commons, the House of Lords, the Scottish Parliament and Welsh Assembly form semi-autonomous units within the party. The leaders in the House of Commons and the Scottish Parliament are the leaders of the federal party and the Scottish Party; the leaders in the other two chambers, and the officers of all parliamentary parties, are elected from their own number. Co-ordination of all party activities across all federated groups is undertaken through the Federal Board. Chaired by the party leader, its 30+ members includes representatives from each of the groups and democratically elected representatives. The Lib Dems had 65,038 members at the end of 2010 and in the first quarter of 2008, the party received £1.1 million in donations and have total borrowings and unused credit facilities of £1.1 million (the "total debt" figure reported by the Electoral Commission includes, for example, unused overdraft facilities). This compares to Labour's £3.1 million in donations and £17.8 million of borrowing/credit facilities, and the Conservatives' £5.7 million in donations and £12.1 million of borrowing/credit facilities. Specified Associated Organisations (SAOs) review and input policies, representing groups including: ethnic minorities (LDCRE), women (WLD), the LGBT community (LGBT+ Liberal Democrats), youth and students (Young Liberals), engineers and scientists (ALDES), parliamentary candidates (PCA) and local councillors (ALDC). Others can become Associated Organisations (AOs) as campaigning or representative groups in the party, such as the Green Liberal Democrats (GLD) , the Liberal Democrat European Group (LDEG) and the Liberal Democrat Disability Association. There are many other groups that are not formally affiliated to the party, including Social Liberal Forum (SLF) and Liberal Reform. The National Union of Liberal Clubs (NULC) represents Liberal Social Clubs which encourages recreational institutions where the promotion of the party can take place. It is also a 'sister party' of the Liberal Party of Gibraltar and contests the South-West England constituency at European Parliamentary elections on a joint ticket with them taking place six on the party list. Membership fluctuated between 1988 and 2000 between a low of 69,000 in 2000 and a peak of 101,768 in 1994. Membership increased sharply after the confirmation on 18 April 2017 of the 8 June 2017 general election, again surpassing 100,000 on 24 April 2017. 3 Acting leader between the resignation of Charles Kennedy on 7 January 2006 and his own election on 2 March 2006. 4 Acting leader between the resignation of Menzies Campbell on 15 October 2007 and the election of Nick Clegg on 18 December 2007. Presidents chair the Federal Board. They are elected for a two-year term, starting on 1 January and ending on 31 December. They may serve a maximum of two terms. ^ a b Robert Ingham and Duncan Brack, Peace, Reform and Liberation – A History of Liberal Politics in Britain 1679–2011, Biteback Publishing, 2011. ^ "Revealed: The Liberal Democrats' new HQ". Lib Dem Voice. 21 May 2011. Retrieved 26 March 2013. ^ Audickas, Lukas; Dempsey, Noel; Keen, Richard. "Membership of UK political parties". ^ Hans Slomp (2011). Europe, A Political Profile: An American Companion to European Politics [2 volumes]: An American Companion to European Politics. ABC-CLIO. p. 343. ISBN 978-0-313-39182-8. ^ a b c d e Alistair Clark (2012). Political Parties in the UK. Palgrave Macmillan. pp. 86–93. ISBN 978-0-230-36868-2. ^ a b c Andrew Heywood (2011). Essentials of UK Politics. Palgrave Macmillan. pp. 126–128. ISBN 978-0-230-34619-2. ^ "Brexit". 17 April 2018. ^ Elgot, Jessica (28 May 2017). "Tim Farron: Lib Dems' pro-European strategy will be proved right". The Guardian. ^ Mark Kesselman; Joel Krieger; William A. Joseph (2018). Introduction to Comparative Politics: Political Challenges and Changing Agendas. Cengage Learning. p. 71. ISBN 978-1-337-67124-8. ^ "Lib Dems aim for centrist voters with tax platform". Financial Times. Retrieved 18 February 2017. ^ Thomas Quinn; Judith Bara; John Bartle (2013). "The UK Coalition Agreement of 2010: Who Won?". In Justin Fisher; Christopher Wlezien (eds.). The UK General Election of 2010: Explaining the Outcome. Routledge. p. 180. ISBN 978-1-317-96554-1. ^ Peter King (2011). The New Politics: Liberal Conservatism Or Same Old Tories?. Policy Press. p. 1. ISBN 978-1-84742-853-0. ^ http://www.libdems.org.uk/ (23 March 2017). "Style guide". Liberal Democrats. Retrieved 5 February 2018. ^ Pack, Mark (22 August 2018). "The new Lib Dem slogan". markpack.org.uk. Retrieved 30 September 2018. ^ "Lords by party and type of peerage". UK Parliament. August 2014. ^ "Vote 2014". BBC News. Retrieved 26 May 2014. ^ "Election results: Nick Clegg resigns after Lib Dem losses". BBC News. 8 May 2015. Archived from the original on 15 May 2015. Retrieved 15 May 2015. ^ a b Bayhew, Bess (16 July 2015). "Tim Farron elected as Leader of the Liberal Democrats". LibDems.org. Retrieved 30 August 2015. ^ a b c d e f "A concise history of the Liberal Parties, SDP and Liberal Democrats". Liberal Democrat History Group. 2007. Archived from the original on 29 August 2014. ^ "The Alliance: a chronology". Markpack.org.uk. 13 April 2009. Retrieved 30 August 2015. ^ "The European Elections in 1989 | UK Office of the European Parliament". Europarl.org.uk. Archived from the original on 20 November 2011. Retrieved 15 May 2015. ^ a b "Statistics 1990s". Electoral Reform Society. 2008. Archived from the original on 5 October 2007. Retrieved 15 May 2015. ^ "The European Elections in 1994 | UK Office of the European Parliament". Europarl.org.uk. Archived from the original on 20 November 2011. Retrieved 15 May 2015. ^ a b "Blair considered coalition after 1997". BBC. 16 November 1999. Retrieved 23 March 2008. ^ "Election battles 1997: Blair's landslide". BBC News. Retrieved 30 December 2011. ^ a b c Hall, Sarah (17 July 2004). "No rest yet for wily architect of poll triumph". The Guardian. London. Retrieved 18 February 2008. ^ "Paddy Ashdown's letter of resignation". BBC. 22 June 1999. Retrieved 28 January 2008. ^ "Results & Constituencies". BBC. 2001. Retrieved 29 March 2008. ^ Tania Branigan; Michael White (22 September 2005). "Blair in denial over Iraq, says Kennedy". The Guardian. London. Retrieved 16 April 2010. ^ Assinder, Nick (26 September 2002). "Kennedy sounds election battle cry". BBC. Retrieved 23 March 2008. ^ "Kennedy wins top politician title". BBC. 11 November 2004. Retrieved 28 January 2008. ^ "Tories admit by-election 'blow'". BBC. 1 October 2004. Retrieved 28 January 2008. ^ Glover, Julian (10 December 2001). "Pro-European Tories join Lib Dems". The Guardian. Retrieved 10 March 2014. ^ a b c d "Blair wins historic third term – majority of 66". BBC. 8 September 2005. Retrieved 21 March 2008. ^ Kettle, Martin (26 April 2005). "Kennedy can still exploit this perfect political storm". The Guardian. London. Retrieved 21 March 2008. ^ Kennedy, Dominic; Goddard, Jacqui (29 November 2008). "Lib Dems face repaying 24m after Michael Brown partys biggest donor convicted". The Times. London. ^ "Top Lib Dem donor stole millions". BBC News. 28 November 2008. Retrieved 28 November 2008. ^ "Seats to Watch". UK Polling Report. 2007. Retrieved 23 March 2008. ^ "Kennedy calls for Lib Dem contest". BBC News. 8 January 2006. Retrieved 23 March 2008. ^ a b "Westminster's worst kept secret?". BBC. 2006. Archived from the original on 16 March 2012. Retrieved 23 March 2008. ^ a b "Timeline: Lib Dem election". BBC. 2 March 2006. Retrieved 23 March 2008. ^ "Lib Dems deliver blow to Labour". BBC. 10 February 2006. Retrieved 23 March 2008. ^ "Bromley and Chislehurst". The Guardian. London. 2006. Archived from the original on 28 January 2008. Retrieved 23 March 2008. ^ "Lib Dems plan 4p cut in tax rate". BBC News. 12 July 2007. Retrieved 28 January 2008. ^ "Voting Intention since 2005". UK Polling Report. 2008. Retrieved 28 January 2008. ^ "Campbell quits as Lib Dem leader". BBC. 15 October 2007. Retrieved 28 January 2008. ^ Ansari, Arif (30 November 2007). "Vince Cable: Acting like a leader". BBC News. Retrieved 17 February 2008. ^ "Nick Clegg is new Lib Dem leader". BBC. 18 December 2007. Retrieved 6 February 2008. ^ a b "The Nick Clegg story". [[[BBC News]]. 19 December 2007. Retrieved 6 February 2008. ^ "Nick Clegg's speech in full". BBC. 18 December 2007. Retrieved 22 November 2007. ^ "Clegg bid for compulsory English". BBC. 28 April 2008. Retrieved 28 April 2008. ^ a b "Clegg reveals his frontbench team". BBC News. 20 December 2007. Retrieved 23 March 2008. ^ Dodd, Vikram (12 May 2010). "Nick Clegg to put deputy prime minister title to test". The Guardian. Retrieved 1 June 2015. ^ "Clegg, Cameron kick off coalition era". Agence France-Presse. 12 May 2010. Retrieved 1 June 2015. ^ "Nick Clegg is right to aim for the centre ground". thinking liberal. 17 December 2013. Retrieved 14 May 2014. ^ "Clegg has made coalition work. Now he must show he believes in more than hung parliaments". New Statesman. 4 December 2013. Retrieved 14 May 2014. ^ "ITV News Instant Poll Results 15 April 2010" (PDF). Comres. Retrieved 15 May 2015. ^ "David Cameron is UK's new prime minister". BBC News. 12 May 2010. Retrieved 12 May 2010. ^ "Inside Story : How Coalition Government Works" (PDF). University College London. Archived from the original (PDF) on 22 October 2012. Retrieved 30 August 2015. ^ "John Leech did not vote for the coalition - but who is the third man?". Next Left. 27 September 2010. Retrieved 6 April 2017. ^ "Coalition under pressure as Liberal Democrat support plummets". London Evening Standard. 10 August 2010. Archived from the original on 7 January 2011. Retrieved 28 December 2010. ^ "Tuition fees vote: Plans approved despite rebellion". BBC News. 9 December 2010. Retrieved 6 May 2011. ^ Matthew Weaver. "Nick Clegg's tuition fees 'debacle' undermined trust, says Norman Lamb | Politics". The Guardian. Retrieved 12 November 2016. ^ YouGov. "Gov't trackers – update 8th Dec". Today.yougov.co.uk. Archived from the original on 11 December 2010. Retrieved 28 December 2010. ^ "YouGov – Lib Dems hit 8%". UK Polling Report. 8 December 2010. Retrieved 28 December 2010. ^ "Barnsley by-election: Labour win, Lib Dems sixth". Channel 4 News. Retrieved 2 July 2018. ^ a b "Scottish election: SNP wins election". BBC News. 6 May 2011. ^ Polly Curtis, Patrick Wintour and Hélène Mulholland. "Liberal Democrats have taken 'big knocks', says Nick Clegg | Politics". The Guardian. Retrieved 30 August 2015. ^ "First UK-wide referendum in over 35 years delivers a "No" to changing the UK Parliament voting system". Electoral Commission. Retrieved 28 April 2014. ^ "Clegg unveils plans for elected House of Lords". BBC News. 17 May 2011. ^ "Nick Clegg: Lords reform plans to be abandoned". BBC News. 6 August 2012. Retrieved 7 August 2012. ^ Harvey, Fiona; Stratton, Allegra (17 May 2011). "Carbon emissions (Environment), Green politics, Chris Huhne, UK news, Environment, Climate change (Environment), Politics". The Guardian. London. ^ a b "Vote 2012: Labour are back throughout country, says Ed Miliband". BBC News. 4 May 2012. ^ Chorley, Matt (3 June 2012). "Lib Dems suffer plunge in party membership – UK Politics – UK – The Independent". The Independent. London. Retrieved 13 April 2014. ^ Parker, George (19 September 2012). "Clegg apologises over tuition fees rise". Financial Times. Retrieved 26 March 2013. ^ "Eastleigh by-election: Lib Dems hold on despite UKIP surge". BBC News. 1 March 2013. ^ Ayres, Steven; Hawkins, Oliver (21 November 2014). "By-elections since 2010 General Election – Commons Library Standard Note". Parliament of the United Kingdom. Retrieved 21 November 2014. ^ "Lib Dems defiant despite Rochester and Strood setback". BBC News. 21 November 2014. Retrieved 22 November 2014. ^ "Nick Clegg facing fight for leadership as Lib Dems set to lose MEPs in elections". The Mirror. 25 May 2014. ^ "Lib Dems languish in fifth place in European elections". BBC News. 26 May 2014. ^ "April 25th: Nick Clegg tilts towards the Tories". The Economist. 25 April 2015. Retrieved 1 June 2015. ^ Green, Miranda (28 May 2015). "The immutable laws of political physics: The Lib Dems' unavoidable defeat and wide-open future". Institute for Public Policy Research. Archived from the original on 2 June 2015. Retrieved 1 June 2015. ^ "Liberal Democrats suffer electoral collapse". Financial Times. 8 May 2015. ^ Wigmore, Tim (10 May 2015). "The Lib Dems' painful lesson: splitting the difference doesn't work". Retrieved 1 June 2015. ^ "The Latest: Obama congratulates David Cameron on election victory". U.S. News and World Report. 8 May 2015. Retrieved 1 June 2015. ^ Election results: Nick Clegg resigns after Lib Dem losses. BBC NEWS. Published 8 May 2015. Retrieved 23 April 2018. ^ Lusher, Adam (17 May 2016). "Liberal Democrat membership numbers soar despite the party's woeful election performance". The Independent. Retrieved 24 May 2015. ^ "Tim Farron unveils his Lib Dem front bench team". BBC News. 29 July 2015. Retrieved 30 August 2015. ^ Farron, Tim (24 June 2016). "Tim Farron's speech following referendum". Liberal Democrats. Retrieved 10 December 2016. ^ Bloom, Dan (29 September 2016). "They've only got 8 MPs but Lib Dem membership is soaring". Daily Mirror. Retrieved 14 October 2016. ^ "Results of the 2017 General Election". BBC News. Retrieved 9 June 2017. ^ "Tim Farron quits as Lib Dem leader". The Guardian. 14 June 2017. Retrieved 21 June 2017. ^ "Vince Cable is new Lib Dem leader". BBC News. 20 July 2017. Retrieved 10 April 2018. ^ Elgot, Jessica. "Lib Dems call for second EU referendum in December 2018". The Guardian. Retrieved 16 August 2018. ^ "Liberal Democrat Federal Constitution". Libdems.org.uk. Retrieved 30 December 2011. ^ a b "Europe". Libdems.org.uk. Retrieved 6 April 2017. ^ a b c Matt Beech (2012). "The British Welfare State and its Discontents". In James Connelly; Jack Hayward (eds.). The Withering of the Welfare State: Regression. Palgrave Macmillan. pp. 96–97. ISBN 978-0-230-34922-3. ^ a b c Thomas Quinn; Ben Clements (2010). "Realignment of the Centre: The Liberal Democrats". In Nicholas Allen; John Bartle (eds.). Britain at the Polls 2010. SAGE Publications. pp. 68–70. ISBN 978-1-4462-1039-0. ^ "What We Stand For". Social Liberal Forum. Retrieved 22 December 2011. ^ "In a darker Britain, Tim Farron's social liberalism may not count for much". The Guardian. 17 July 2016. ^ Peter Dorey; Mark Garnett (2016). The British Coalition Government, 2010-2015: A Marriage of Inconvenience. Springer. p. 42. ISBN 978-1-137-02377-3. ^ Hugh Bochel; Martin Powell (2016). "The transformation of the welfare state? The Conservative–Liberal Democrat coalition government and social policy". In Hugh Bochel; Martin Powell (eds.). The Coalition Government and Social Policy: Restructuring the Welfare State. Policy Press. p. 4. ISBN 978-1-4473-2456-0. ^ Zadok Day (13 February 2012). "New Liberal Reform group to launch today". Liberal Democrat Voice. Retrieved 16 October 2018. ^ "Liberal Reform comment on Royal Mail privatisation". Liberal Democrat Voice. 12 July 2013. Retrieved 16 October 2018. ^ "Liberal Reform response to Budget 2014". Liberal Democrat Voice. 20 March 2014. Retrieved 16 October 2018. ^ Alan Muhammed (21 May 2015). "Introducing Liberal Reform". Liberal Democrat Voice. Retrieved 16 October 2018. ^ Alan Muhammed (24 April 2013). "Letter to Nick Clegg on the Communications Data Bill". Liberal Reform. Retrieved 16 October 2018. ^ "Political Reform". Liberal Democrats. Retrieved 2 September 2011. ^ Cable, Vince (10 June 2010). "We agree to differ on restoring economy". Financial Times. Retrieved 30 December 2011. ^ "Going green isn't a luxury extra, it's a necessary investment in our future". Liberal Democrats. ^ Stratton, Allegra (25 August 2011). "Nick Clegg: I will refuse to let human rights laws be weakened". The Guardian. London. Retrieved 2 September 2011. ^ Wachman, Richard (1 September 2011). "City hits back at Vince Cable over banking reform comments". The Guardian. London. Retrieved 2 September 2011. ^ "The Liberal Democrats on Civil Liberties". Libdems.org.uk. Archived from the original on 22 January 2013. Retrieved 26 March 2013. ^ "Government to extend number of children to get £488 pupil premium". The Guardian. London. Press Association. 11 December 2011. Retrieved 30 December 2011. ^ Wintour, Patrick; Mulholland, Hélène (25 November 2011). "Nick Clegg: £1bn youth jobs fund to prevent lost generation". The Guardian. London. Retrieved 30 December 2011. ^ "Liberal Democrats vote to end religious selection amongst state schools". humanism.org.uk. 19 March 2017. Retrieved 30 March 2017. ^ "Early Day Motion 1206 - The Greenwich Judgement". Parliament.uk. Retrieved 26 August 2017. ^ "Early Day Motion 686 - Greenwich Judgement and School Admission Policy". Parliament.uk. Retrieved 26 August 2017. ^ "Three-quarters of health quangos axed". The Independent. London. 14 October 2010. Retrieved 30 December 2011. ^ Evans, Lisa (19 May 2011). "What will be left when Strategic Healthcare Authorities are axed? Get the data". The Guardian. London. Retrieved 30 December 2011. ^ "Government announces £400 million for carers' respite breaks". The Princess Royal Trust for Carers. Retrieved 30 December 2011. ^ "Lib Dems pledge 1p income tax rise to fund NHS". BBC News. 6 May 2017. ^ "Protection of Freedoms Bill 2010–11". Parliament of the United Kingdom. 15 December 2011. Retrieved 30 December 2011. ^ ^ Liberal Democrat Manifesto. p123. ^ "Lib Dem conference: Activists reject 'scrap Trident' call". BBC News. 21 September 2015. Retrieved 1 July 2016. ^ Cobain, Ian (6 July 2010). "David Cameron announces torture inquiry". The Guardian. London. Retrieved 30 December 2011. ^ Clegg, Nick (19 February 2012). "Nick Clegg: We can lead from the front in disarming". The Independent. London. ^ "At-a-glance: Lib Dem general election 2010 manifesto". BBC News. 14 April 2010. Retrieved 30 December 2011. ^ "General election 2010: Liberal Democrat manifesto at a glance". The Guardian. London. 14 April 2010. Retrieved 30 December 2011. ^ Alistair Jones (2007). Britain and the European Union. Edinburgh University Press. p. 137. ISBN 978-0-7486-2428-7. ^ Andrew Geddes (15 January 2013). Britain and the European Union. Palgrave Macmillan. p. 243. ISBN 978-1-137-29743-3. ^ Stone, Jon (25 June 2016). "Liberal Democrats pledge to ignore referendum result and keep Britain in the EU". The Independent. Retrieved 27 June 2016. ^ Mortimer, Caroline (29 June 2016). "Liberal Democrat membership surging with 'one person a minute joining' following party's pledge to fight Brexit". The Independent. Retrieved 1 July 2016. ^ "The Liberal Democrat Plan for Britain in Europe". Libdems.org.uk. 6 September 2016. Retrieved 12 November 2016. ^ Bogdanor, Verdon (21 September 2010). "Why the Lib Dems want electoral reform". New Statesman. Retrieved 14 May 2015. ^ Liberal Democrat Manifesto. (2015). p82. [online]. Available at:https://d3n8a8pro7vhmx.cloudfront.net/libdems/pages/8907/attachments/original/1429028133/Liberal_Democrat_General_Election_Manifesto_2015.pdf?1429028133 [Accessed: 25 March 2015]. ^ "Voting Systems". Electoral Reform Society. 2008. Archived from the original on 20 January 2008. Retrieved 28 January 2008. ^ "Expect more protests, says Clegg". BBC. 8 March 2008. Retrieved 13 March 2008. ^ a b "Lib Dems hail three-party contest". BBC. 11 June 2004. Retrieved 21 March 2008. ^ Freedland, Jonathan (19 December 2007). "If Clegg gets it right in 2008, he could bring the Lib Dems into government". The Guardian. London. Retrieved 23 March 2008. ^ Sparrow, Andrew (10 March 2008). "Clegg's terms for deal in hung parliament". The Guardian. London. Retrieved 15 March 2008. ^ "Lib Dems launch councils campaign". BBC. 3 April 2008. Retrieved 3 April 2008. ^ "Vote 2014 Election Results for Councils in England – BBC News". BBC. Retrieved 30 August 2015. ^ a b Fitzgerald, Todd (6 May 2016). "Manchester local election results 2016: John Leech ends Labour's total grip on the town hall". Manchester Evening News. Archived from the original on 17 August 2016. Retrieved 6 April 2017. ^ "Councillor details - Councillor Mark Hunter - Stockport Council". Democracy.stockport.gov.uk. Retrieved 6 April 2017. ^ "Vote 2004". BBC. 15 August 2007. Retrieved 21 March 2008. ^ "European Election 2009: East Midlands". BBC. 19 April 2009. Retrieved 8 June 2009. ^ "UK European election results". BBC News. 26 May 2014. ^ "Groups in the European Parliament". BBC. 5 June 2009. Retrieved 8 June 2009. ^ "Biographical details: Graham Watson MEP, Former leader of the Alliance of Liberals and Democrats for Europe in the European Parliament". ALDE. 2009. Archived from the original on 27 January 2009. Retrieved 8 June 2009. ^ "ALDE | Guy Verhofstadt elected unopposed as new ALDE group leader". Alde.eu. 30 June 2009. Archived from the original on 17 July 2009. Retrieved 13 April 2010. ^ Compared to the SDP–Liberal Alliance position in 1984. ^ "Election 2007 – Devolution Come of Age?". Institute of Governance. 2007. Archived from the original on 11 May 2008. Retrieved 21 March 2008. ^ "Lib Dems choose Stephen as leader". BBC. 23 June 2005. Retrieved 28 March 2008. ^ "Holyrood Results". The Herald. 2007. Archived from the original on 23 April 2008. Retrieved 8 May 2008. ^ "Willie Rennie named new Scottish Lib Dem leader". BBC News. 17 May 2011. ^ Gibbs, Geoffrey (16 October 2000). "Lib Dems agree Welsh Assembly power deal". The Guardian. London. Retrieved 9 June 2009. ^ "Morgan pledges to govern alone". BBC. 7 May 2003. Retrieved 21 March 2008. ^ "Williams election breaks mould". BBC. 8 December 2008. Retrieved 9 June 2009. ^ "Federal Executive". Liberal Democrats. Archived from the original on 23 May 2010. Retrieved 10 May 2010. ^ Eaton, George (25 July 2013). "Lib Dem money woes grow as party membership hits new low". New Statesman. Archived from the original on 15 May 2015. Retrieved 15 May 2015. ^ "New figures published showing political parties' donations and borrowing". Electoral Commission. 2008. Retrieved 22 September 2008. ^ "Liberal Democrat Campaign for Racial Equality". ldcre.org.uk. 8 February 2019. Retrieved 8 February 2019. ^ "Women Liberal Democrats". Wld.org.uk. Retrieved 13 April 2010. ^ "DELGA: Liberal Democrats for Lesbian, Gay, Bisexual and Transgender Action". Lgbt.libdems.org.uk. 17 February 2010. Retrieved 13 April 2010. ^ "ALDES". ALDES. Retrieved 13 April 2010. ^ "PCA Encyclopedia : Welcome to the Parliamentary Candidates Association Website". Parliamentary.org.uk. Retrieved 13 April 2010. ^ "Association of Liberal Democrat Councillors". ALDC. 17 February 2010. Retrieved 13 April 2010. ^ "Green Liberal Democrats". Greenlibdems.org.uk. Retrieved 13 April 2010. ^ "Liberal Democrat European Group". ldeg.org. Retrieved 13 April 2010. ^ "LDDA — The Liberal Democrat Disability Association". Disabilitylibdems.org.uk. Retrieved 13 April 2010. ^ "Social Liberal Forum". Social Liberal Forum. Retrieved 8 February 2019. ^ "Liberal Reform". Liberal Reform. Retrieved 8 February 2019. ^ "Alliance Party faces uphill battle". BBC. 14 September 2001. Retrieved 21 March 2008. ^ "Sister Parties". Liberal Democrats. Retrieved 24 March 2014. ^ "European selection results – complete". Houston Chronicle. 1 December 2012. Retrieved 24 March 2014. ^ "Catherine Bearder MEP for South East England, EU/ALDE Liaison". Liberal Democrats. Retrieved 14 May 2017. ^ "The last Liberal Democrat: meet Europe's lonely liberal". New Statesman. Retrieved 14 May 2017. ^ a b Pack, Mark (9 October 2016). "Liberal Democrat annual membership figures since 1989". Mark Pack. Retrieved 6 April 2017. ^ "Lib Dem membership tops 100,000 after snap election call - BBC News". BBC. 24 April 2017. Retrieved 24 April 2017. ^ "Sir Malcolm Bruce wins Lib Dem deputy leadership contest". BBC News. 28 January 2014. Retrieved 29 January 2014. ^ a b c "CIX site migration". Retrieved 8 May 2015. Wikimedia Commons has media related to Liberal Democrats (UK). "Liberal Democrats collected news and commentary". The Guardian. "Electoral reform – A vote of principle", The Guardian, 3 July 2010. Lib Dem Voice – the most-read independent website by and for Lib Dems.